Lobster rolls get all the love, but New England has a number of other seafood sandwiches up its sleeve. Few are so perfect, yet so hard to perfect, as the clam roll. Piling freshly fried seafood into a butter-toasted bun is exactly the sort of excess we can get behind. A properly fried clam is beautifully bronzed with a light, crisp coating, and it bursts with briny, oceanic flavor when you bite in. Hitting a perfect balance of sweet and salty, crunchy and juicy, it’s a summer pleasure with few equals, and fried clams are even better when made into a sandwich. The filling. The quality of a clam roll is entirely determined by the quality of its clams: Only whole-bellied, super-fresh clams need apply. Accept no clam-strip substitutes. A good clam roll needs little adornment other than tartar sauce, and maybe a bit of iceberg lettuce. The bread. A soft white bun will do—either the split-side hot dog bun favored in New England, or something soft and brioche-like. Butter toasting is key. Clam Box; Ipswich, MA. The inevitably long line is worth waiting in: Clam Box fries up some of the best seafood in Massachusetts. The fat clams, pulled from local waters, are excellent on their own but even better piled up in a sandwich. Woodman’s; Essex, MA. This seafood spot is justly famous for its clams, whether as chowder, clamcakes or steamers. But there’s no improving upon the fried clams, which Woodman’s claims to have invented nearly a century ago, so it’s no surprise that this place make a superior clam roll. 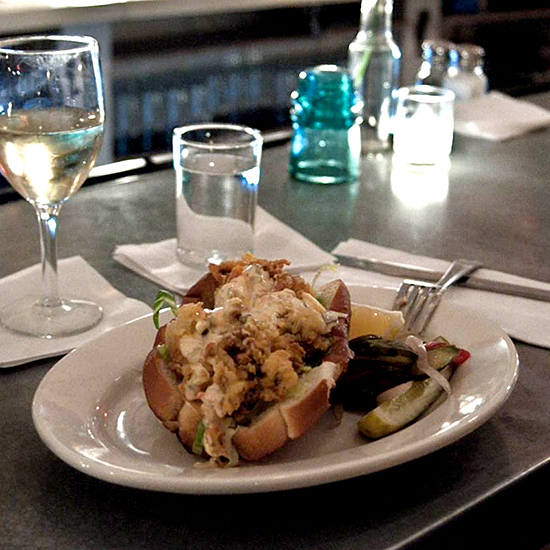 Littleneck; Brooklyn, NY This New England-style clam shack is authentic enough to convince New Yorkers they’ve left the state—and the Ipswich clam roll, with crisp-fried clam bellies, tartar sauce and pickles, is one of the menu highlights.